More Women Opt For IUD, Contraceptive Implant For Birth Control : Shots - Health News The number of U.S. women choosing long-acting, reversible birth control methods has more than quadrupled since 2002, data suggest. Use of the pill, condoms and female sterilization has dipped a bit. Birth control pills are 99 percent effective in preventing pregnancy, research shows — but only if you remember to take them as prescribed. Rod-shaped implants, T-shaped IUDs and vaginal rings are other options. Contraceptive implants and IUDs are very effective in preventing pregnancy — nearly 100 percent, statistics show. A new federal survey finds many more women are making this choice than did a decade ago. 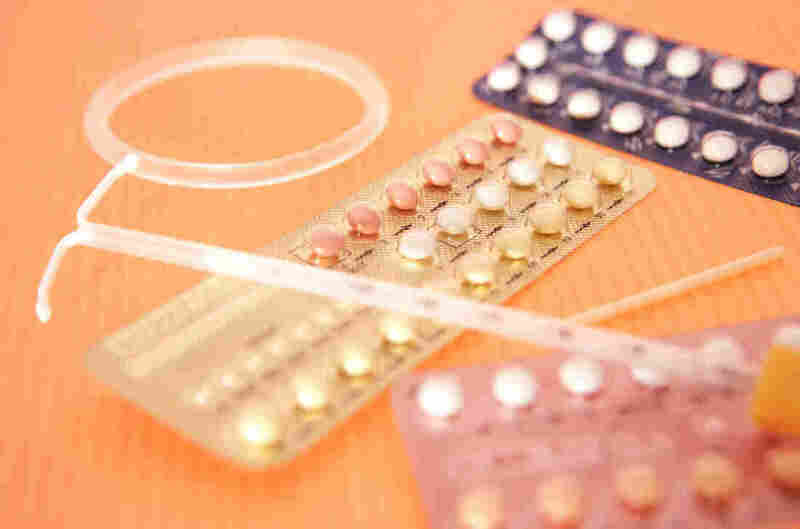 Federal researchers analyzed data from a national health survey that included birth control practices among women of childbearing age. The survey found that while use of the pill, condoms and female sterilization all dipped between 2002 and 2013, the number of women using long-acting contraception more than quadrupled. These days, 11.6 percent of U.S. women — 4.4 million — rely on either an intrauterine device or a contraceptive implant to prevent pregnancy. IUDs come in two types. One is made of plastic and copper. The other kind, made of plastic, releases a progestin hormone. The contraceptive implant works by releasing progestin delivered via a small, flexible tube inserted under the skin, usually in the woman's upper arm. Both IUDs and implants are reliable for years without intervention or replacement, doctors say, and that's key to their efficacy and popularity. The implant prevents pregnancy for three years and the IUDs for three to 12 years, depending on the type, says Megan Kavanaugh, senior research scientist at the Guttmacher Institute. The pill is also highly effective, when taken as prescribed every day, she says, but you have to remember to take it. Kavanaugh says the methods are endorsed as good options by medical associations, and more and more providers are being trained in how to insert them, which may have contributed to the uptick in use. Also, in plans established under the Affordable Care Act, insurance companies are required to cover birth control methods, including inserting IUDs and implants, she says. And that could increase their popularity. As part of her own research on why women choose one method of birth control over another, Kavanaugh interviewed teenagers and young 20-somethings. Many, she says, told her, "I have so much on my plate — and I can't remember to take a pill every day." For this age group in particular, Kavanaugh says, these long-lasting methods are very reasonable options. They're the most effective methods available, she adds, "similar to sterilization" in effectiveness. Unlike sterilization, the IUD and implant are both reversible and can be stopped at any time — also an important consideration for many people. "We just want to have as broad a mix as possible for all women," Kavanaugh says, "so they can choose the birth control method that works best for them." An earlier version of this post neglected to mention that there are two different types of IUDs — one releases a progestin hormone and the other, containing copper, does not.